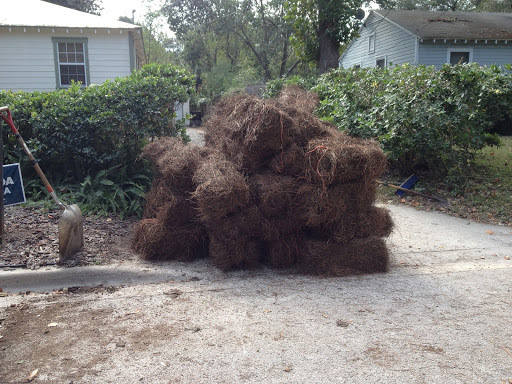 When I came home at lunch I found bales of straw in the drive. 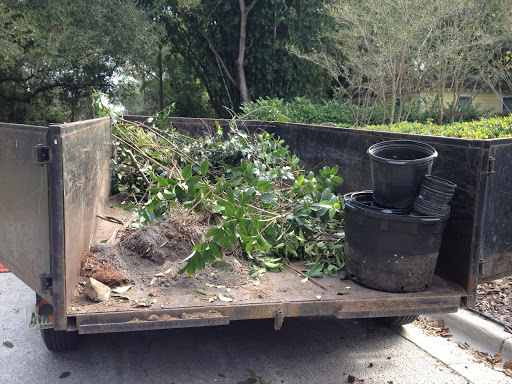 More of our old plants had been removed and/or trimmed away. New plantings had taken place. 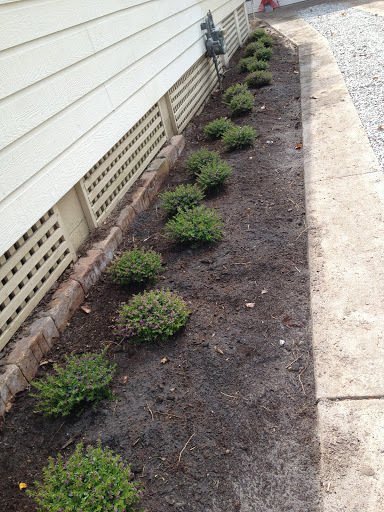 Our Mexican heather was planted in the driveway. 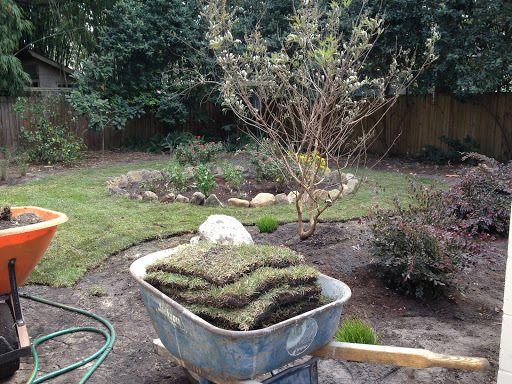 Sod was being laid in the backyard and other plantings in progress. I was so excited that I couldn’t wait to get home from work! Let’s check it out! 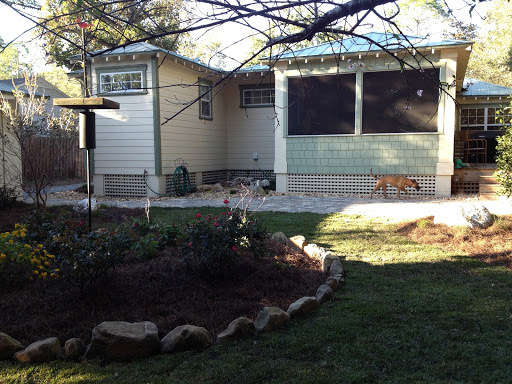 Here is our new “river bed” in the back. This is where 3 sides of our roof join to create a waterfall when it rains. 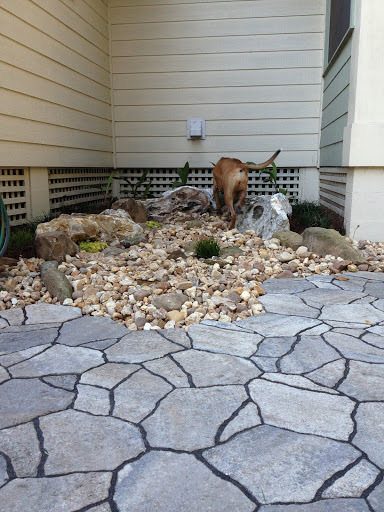 Now we have our own creek bed. 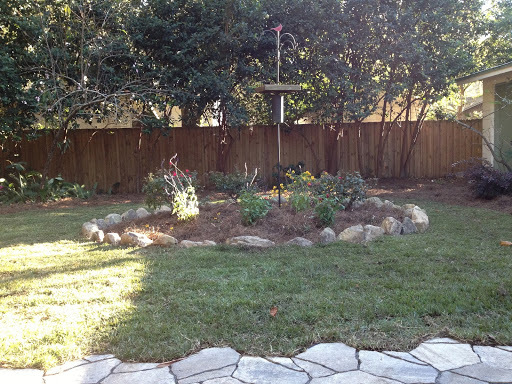 Our butterfly garden is planted. What lovely views from the back of the yard! Tomorrow we will try to get some pictures of the front. 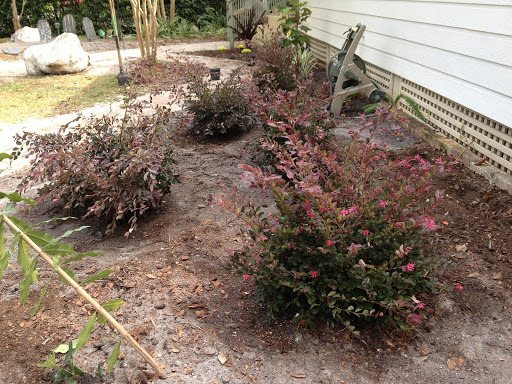 It’s not quite as dramatic as we did minimal plantings to tide us over until we can afford to finish it. No more rolling in the dirt for the dogs! Praise Jesus! The grounds in the back are beautiful. We are jealous. 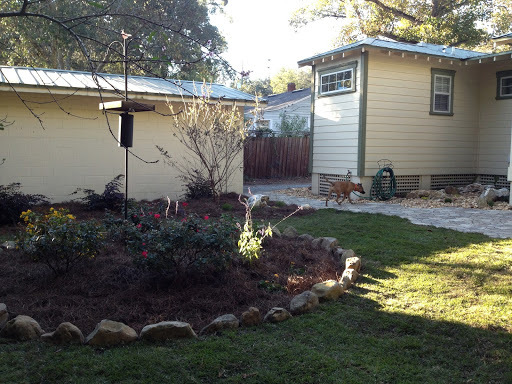 This also looks to be a place to host a backyard party, wings and all…..